This is a list of all my books and where you can get them. Some are exclusive to certain places, others in more than one format and at different locations. Self Adjusting Technique: A gentle method for doing self-adjustments on your neck, back, hips and ribs, all without force, cracking or pain. 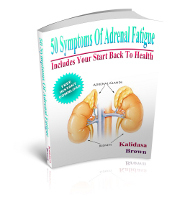 Adrenal Fatigue — Get Your Life Back: One of the most common conditions, yet not acknowledged by the medical community. Includes excellent protocols for self treatment. Yoga for Lower Back Pain: Presented as a yoga class with detailed explanation of the poses and photos. Variations for different issues you’re likely to have. All the photos are included a the end for ease of going through the class. Find the poses that help you the most. Floor Yoga Class: A gentle yoga class that anyone can do. Can be done in 20 to 45 minutes depending on how long you work each pose. Detailed descriptions and photos are followed by photos alone for ease of going through the class. Back Pain Secrets: Find out the best treatment for your particular back pain issue.